Use of TrustEssays.com Products: At no time does TrustEssays.com promote or encourage academic dishonesty, including the submission of any of its products as a student’s own. Works ordered and delivered to a customer are for research and informational purposes only, and to be used to study the product as a sample. Contact Information: The customer bears full responsibility for providing correct contact information. TrustEssays.com shall not be responsible for late or failed delivery as a result of incorrect customer-provided contact information. Order Cancellation: Should a customer cancel an order for which s/he has already paid, the amount of refund will be based upon the progress on the order. If a writer has been assigned and work begun, TrustEssays.com shall determine an appropriate refund amount. Customer is advised that any refund amount may be applied as a credit toward any future order. Use of Resources: If a customer does not designate specific resource materials, the writer will always use the most current, relevant, and level-appropriate resources. Should a customer require specific resources, his/her writer will accommodate this request. If the resource material is not openly available, the customer will be required to provide the materials, by uploading them to his/her personal account page. If we must purchase required resource materials, we shall do so, but we shall also provide the customer with an additional invoice for that cost. Customer shall make reimbursement payment prior to delivery of the final product. Should a customer fail to provide the resource materials in a timely manner, TrustEssays.com shall not be responsible for delay in delivery of final product. Instructions Provided by Client: During the process of order completion, the customer bears full responsibility for providing TrustEssays.com with all of the detailed specifications of the ordered product. As well, the customer must respond quickly to any request from the company or the writer for additional information or clarification. If specifications are not clear, or if the customer fails to respond to requests for clarification, neither the company nor the writer will be responsible for delays in production. If the customer requests revisions to a delivered product, and those revisions are a result of specifications not being met, those revisions shall be free of charge. However, if a customer’s revision request alters the original specifications in any way, there will be an additional charge for the revisions. Plagiarism Issues: Should a customer believe that any delivered product contains plagiarized content, the customer should notify the Customer Support Department immediately. TrustEssays.com is happy to provide its own plagiarism scan report to the customer upon request. The customer may provide TrustEssays.com with the results of a Turnitin scan, and, if it is deemed that plagiarism exists, TrustEssays.com shall revise the work at its own expense. Technical Issues: TrustEssays.com cannot be held responsible for technical failures of delivery that occur as a result of server and other Internet issues. By using the services of TrustEssays.com and/or by ordering product from TrustEssays.com, the customer agrees to all of the disclaimer information that is herein provided. It is the mission of TrustEssays.com to serve each and every customer with the very best writing services, and we appreciate that you have selected us for your academic writing needs. 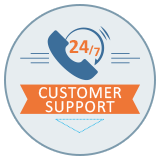 Should you have any questions or issues, we are available to you 24 hours a day, by email, phone or live chat. We are here to help you in any way! By placing an order with TrustEssays.com, you acknowledge that you have read, understood, and agree to be bound by the Terms and Conditions Agreement. You also understand, as stated in the Terms and Conditions Agreement, that product received from TrustEssays.com is to be used only for study and reference purposes. Further, you agree that TrustEssays.com is not responsible in any way nor does it make any claim relative to course grades you may receive. According to the Terms and Conditions Agreement, when you place an order with TrustEssays.com, you also give permission for our company to charge your credit/debit card for the cost of that order. You may cancel an order at any time; however, if your cancellation occurs after a writer has been assigned and work has begun, we will provide a refund or a credit based upon the amount of work already completed. Customer/Billing Information: The customer must respond immediately to all requests for identity and payment information verification. Failure to do so may result in delivery delay. We require verification in order to prevent fraud. Communication Issues: The customer must regularly check his/her email and his/her personal account page for communication from the writer or the company. Further, the customer must provide accurate contact information. If delays occur because of customer failure to respond, the company shall not be liable for resultant delays, and refunds will not be afforded. Revisions/Editing: If the customer revision request alters the initial specifications, the revisions will be considered editing, and there will be an additional charge. Unclear Instructions/Specifications: During the order placement process, the customer will be asked to provide very detailed specifications. If a writer needs further information or clarification, s/he will contact the customer, and the customer must respond quickly to any request. Failure to do so may result in delay for which neither the company nor the writer will be responsible. Issues with Resource Materials: If specific resources are required, he customer must provide them to his/her writer. If the deadline is from 72 hours through 14 days, materials must be provided within 24 hours; there is a 1 hour time limit for order with 24-72 hour deadlines; deadlines of less than 24 hours require a 30-minute limit for resource delivery. In case Customer did not provide materials within the deadline for resource provision, extra payment or extra time for order completion would be required. Incorrect Academic Level: If the incorrect level is given during the ordering process, the customer should notify he support department immediately. Changes after a writer has begun may result in additional charges. Late/Missing Payment: A writer cannot begin until full payment has been made. We are available around the clock, 365 days a year for you to contact us with any issues of delivery delay. If a delay is determined to be our fault, we shall re-calculate your cost and issue a partial refund or a credit to be used toward a future order. Laws regarding online purchase and/or the use of academic writing services may vary by locale, and the customer is responsible for compliance. Further, any type of cyber-crime, including the use of a stolen credit/debit card will be reported to law enforcement officials. Customer agrees that any delivered product is for personal reference purposes only and will not be used for any other purpose. The company may forward newsletters and information about special sales and discounts, and the customer may opt out of such mailings. We value customer privacy and do not share personal information with anyone.